Released earlier this year, the HTC One S received some high marks for style when it first introduced itself. Previously only available in a sleek black, the One S is a tiny little powerhorse of a smartphone that packs a lot into a diminutive package. That package is about to get a bit brighter with the upcoming planned HTC One S Special Edition. However, since such a minuscule amount is changing from the standard One S, HTC decided not to rebrand the One S the same way it did its One X+. Following in its big brother's (the HTC One X) footsteps, the HTC One S Special Edition comes in a new Snow White body. Along with the new paint scheme comes 64GB of storage, which doubles that found in the original iteration. 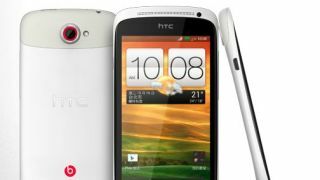 Additionally, unlike the One S models currently on the market, the One S Special Edition will reportedly come with Android 4.1: Jelly Bean and HTC Sense 4+. All the phone's other specs remain the same, though that's not a bad thing considering the 1.5GHz dual-core Snapdragon S4 processor, 8-megapixel camera and 4.3-inch Super AMOLED screen are all fairly impressive. Currently the One S Special Edition is only available in Taiwan, and there's no indication from HTC as to when or if other markets will get the redesign. TechRadar has reached out to HTC, and will update this story if and when a request for comment is returned.